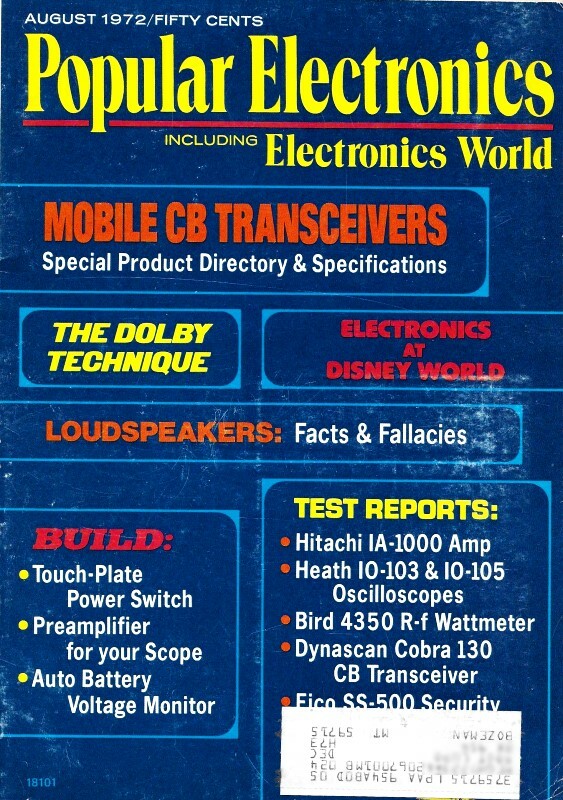 The August 1972 issue of Popular Electronics included a short quiz by William Shippee titled "Test Your Knowledge of Semiconductors." I guessed wrong on question #2 and guessed right by process of elimination on question #8 (although afterward I discovered that in 2012 I had posted an article about it from Electronics World magazine). Go ahead and try your hand at it. I'll bet Q2 has most people guessing, too. 1. Transistor HFE remains steady regardless of temperature. 2.Which of these elements used to dope semiconductor materials is an acceptor or p type? 3. In a class A output stage, dissipation is always highest when there is no ac power output. 4.Mesa and planar epitaxial transistors give high-speed switching and good saturation characteristics at relatively high voltage ratings. 6.Many mesa and planar transistors exhibit negative resistance after breakdown voltage is reached. 7. Voltage feedback from the collector of a transistor stage tends to increase the output impedance of that stage.